SemPress is an extremely lightweight, responsive theme designed to show off your posts, quotes, and images. 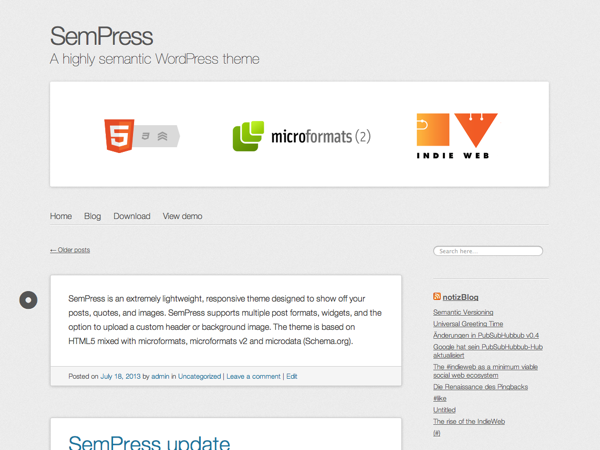 SemPress supports multiple post formats, widgets, and the option to upload a custom header or background image. The theme is based on HTML5 mixed with microformats, microformats v2 and microdata (Schema.org).